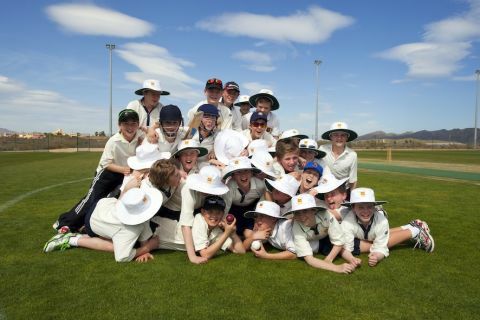 The Dragon Preparatory School (for 8-13 year olds), will be stepping up their preparations for their 2016 cricket campaign by attending a 5-day pre-season training camp at the Desert Springs Cricket Academy between Saturday 11th – Thursday 16th April 2016. The Dragon Preparatory School (for 8-13 year olds), together with the Dragon Pre-Preparatory School, Lynams (for 4-7 year olds), is one of the best known schools in England and numbers amongst its former pupils a very wide range of successful men and women. Situated on two sites in leafy North Oxford, its roots lie in progressive educational theory of the late nineteenth century. Founded as the Oxford Preparatory School in 1877 the school was started by a group of Oxford University dons for their own children. Run for many years by the Lynam family, the Dragon reflected their unconventional approach to education, which was based on the belief that children should enjoy school and understand the world around them. The Dragon Preparatory School team training camp will comprise Twenty-Two (22) players and Three (3) coaches, all of whom will be spending their time completing numerous training sessions each day, which will include grass net practice, both bowling and batting, strength work, running, speed and agility work. As they will be outside and on grass, the squad will also be able to do fielding and throwing practice in realistic conditions, something not possible indoors back in the UK. Feedback received from those Cricket groups who have already visited the Desert Springs Cricket Academy can be viewed Here. Accommodation for the players and coaches is in some of the privately owned apartments and townhouses at Desert Springs Resort normally reserved for holidays and short breaks and the resort’s executive chef will be on hand to cater for the special dietary requirements of individual players dining in the resort’s award-winning El Torrente Restaurant.